Tippmann Paintball marker parts, tippmann cronus marker accessories, tippmann cronus gear, tippmann cronus accessories, tippmann cronus replacement parts, tippmann tmc parts, tippmann tmc accessories, tippmann tmc replacement parts. 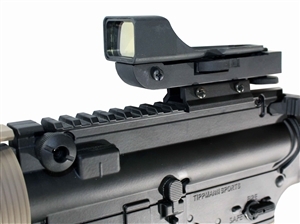 Trinity Accessories For Tippmann TMC. The right accessory in your Tippmann TMC can make all the difference when it comes to shooting accurately. And, when accuracy makes all the difference, only the very best accessory can be trusted. Trinity offers a large variety of accessories for Tippmann TMC markers that will help to increase your precision and they are offered at great low prices. Don’t put a mediocre parts on your Tippmann TMC – shop Trinity Supply today and get the very best! Trinity Supply has all the Tactical Accessories you need. Browse our site today to find quality Tactical gear and accessories for great prices at your one-stop online Tactical shop! Dual Magazine Coupler fits Tippmann TMC Marker. Weaver Mounted Grip For Tippmann TMC Marker. Weaver Foldable Grip For Tippmann TMC. 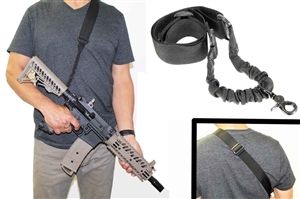 Tactical Sling For Tippmann TMC. Tippmann TMC Dual Magazine Coupler and grip kit. Aluminum Red Dot Reflex Sight For Tippmann TMC. Barrel For Tippmann TMC 16. Tippmann TMC Magazine black - 2 Pack , 20 Ball Mags. Reflex Sight For Tippmann TMC. Accurate Barrel 16 And Grip Kit For TIPPMANN TMC. 4X32 Scope For Tippmann TMC. 4X32 Scope Tan Color For TIPPMANN TMC. APEX2 18 For Tippmann TMC. Green Dot Sight For Tippmann TMC. Accurate barrel 16 and Tactical red dot sight kit for Tippmann Tmc. Tactical Barrel For Tippmann TMC 16. Bt Apex2 18 With INSANE Cover And Grip Kit For TIPPMANN TMC.